Falcon.io Review: "A powerful platform with unique functionality for media buying"
Falcon.io provides many similar functionalities as every other social media management platform. As an agency that services many clients, we are always looking for new tools that can enable us to offer unique services and features to them. We found one such feature within Falcon.io that allowed us to extract unique target audience sets from our listening query results. This unique and powerful functionality allowed us to run strong advertising campaigns on Facebook that managed to achieve some of the best CPC and CPM post rates we've seen compared to our regular targeted ads. 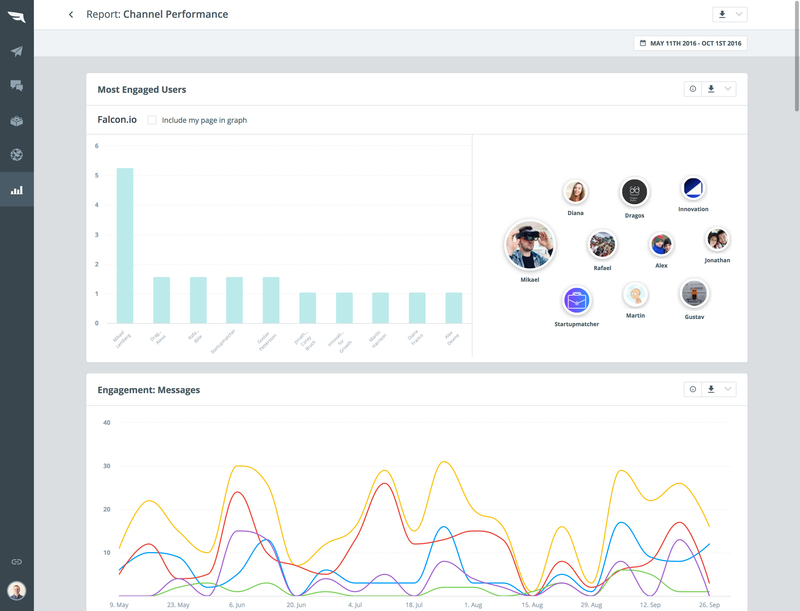 Falcon.io provides a set of functionalities that cover a wide spectrum of services that would normally be required by any social media community manager and analyst. In addition, it has a few unique features that you wouldn't find in other platforms, and we would highly recommend signing up with Falcon.io if those functionalities are what you are seeking. 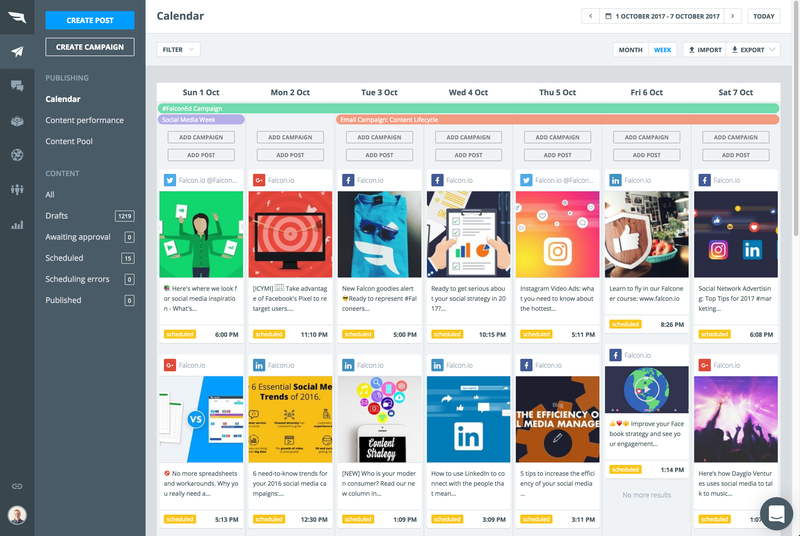 Falcon.io Review: "A robust all-in-one social media management solution"
Falcon is being used by our organic social team to consolidate scheduling and community management. It's a very robust tool that allows us to organize social effort across multiple stakeholders. Bulk upload for FB and TW. We post 4-5 times per day, per channel in some cases. Scheduling. Very convenient to see everything aggregated into a calendar view. Community management. Engage is probably one of the strongest modules. It aggregates everything from all channels. Better support for Instagram community management. We'd like to be able to reply directly to comments. Instagram bulk upload. This is a big channel for us, so we'd love to be able to bulk upload. It would save us a lot of time. Platform speed. Occasional lag, especially in Engage. 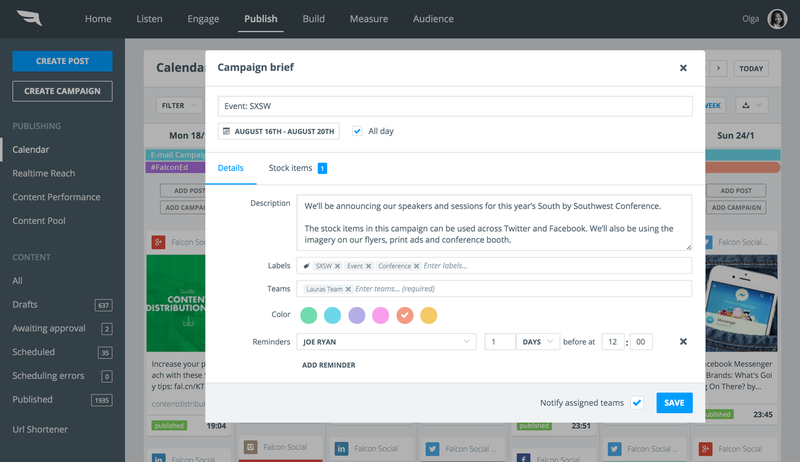 Really great for consolidating and reviewing schedule across channels and for community management. Not great for managing several communities managers in terms of accountability and performance tracking. 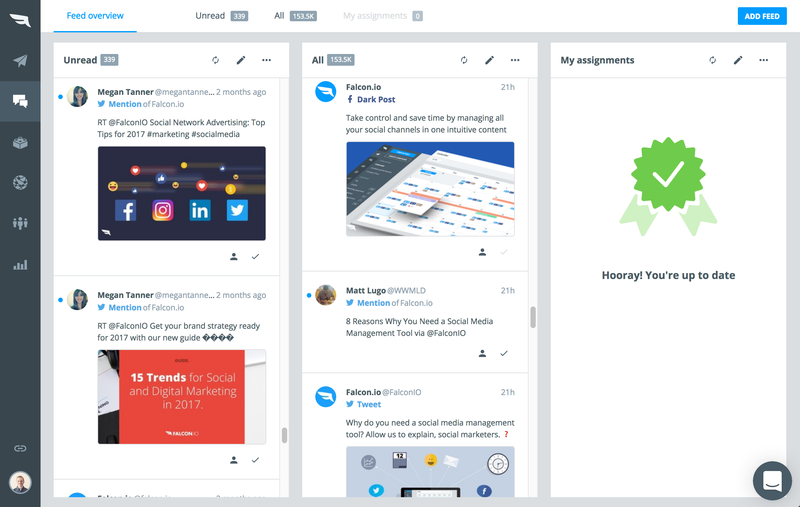 Falcon.io Review: "Trust Me, Falcon Is What You Want"
We use Falcon to help better organize our social media content for our selection of clients. Falcon is well suited for any organization looking to take control of several social media channels. 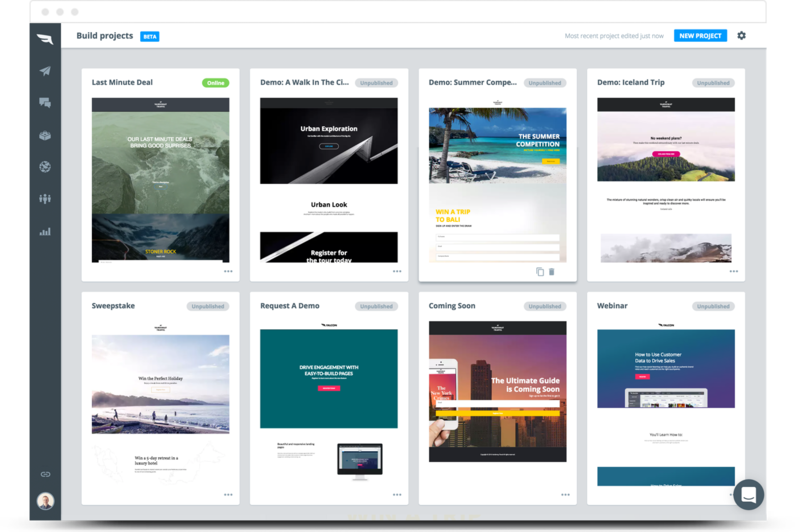 Super flexible for content publishing, love it! Falcon.io Review: "All in one solution"
We are using Falcon.io to manage all our social media Issues in the company. We are an online tech magazine and are using it to publish articles and other content, process commands, and manage statistics. It is the only tool I know, which is able to schedule on Facebook and Google+ at the same time. Working with different teams with different roles. Very intuitive at the most categories. Be more intuitive with the statisics. A dream (not only addicted from Falcon): Managing instagram posts. 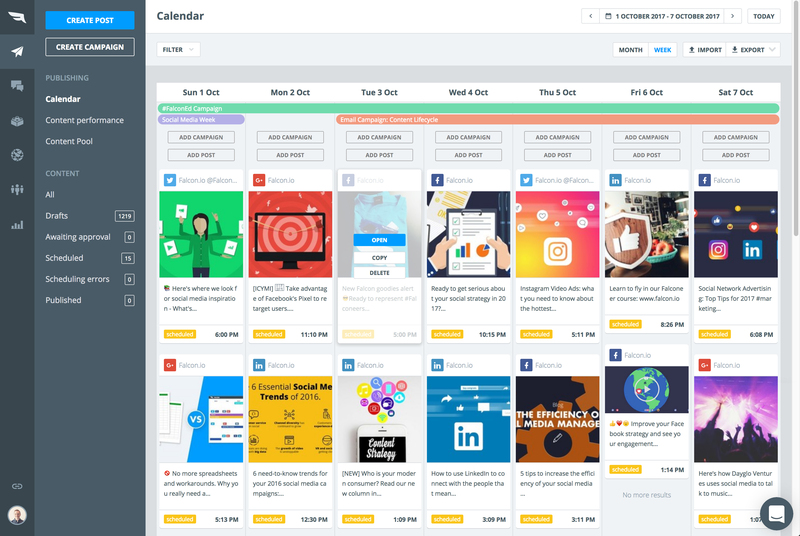 Scheduling postings on every platform (except Instagram) is very comfortable. It's also easy to learn for everyone on the team. Less suited - you can't choose more than one recipient if you want to forward a command. Falcon.io Review: "Team Orientated Social Media Tool"
Falcon Social is used as our central social media tool. We are planning, implementing and evaluating all our social media campaigns with it. Its strengths are the bundling of all social media channels. It is easy to work with and it makes it easy to work in teams. It also provides a lot of powerful tools to build Facebook landing pages. Tools to create Facebook landing pages (drag drop). Measuring could be a little bit tricky. Falcon Social is perfect for teams. It is very easy to work with (drag and drop) and provides good and easy overview over all channels. Falcon.io Review: "Great tool for content toppers!" I use the tool to publish my content for the various tourism campaigns within our organization. At this moment I am the only one in our organization that controls the tool. The tool works efficiently and is easy to use. New updates are in my opinion necessary. Currently I can not make mentions or tags in updates. Make it available in Dutch. Falcon.io Review: "Quite good but not perfect"
We use Falcon Social for marketing in social media. Publish. You have a great overview of your different social media channels. Engage. Good way to have control over who you have responded to. Build, this is not working so good. You should really update this function. Training. I still don't quite understand what to do with the listening option. Falcon is pretty expensive and you can do much of it directly at Facebook for example. So you should then have better training with new customers so we can use the whole system. Otherwise we might start looking at other companies doing the same thing as you are..
Falcon.io provides a platform for social media marketing and customer experience management. 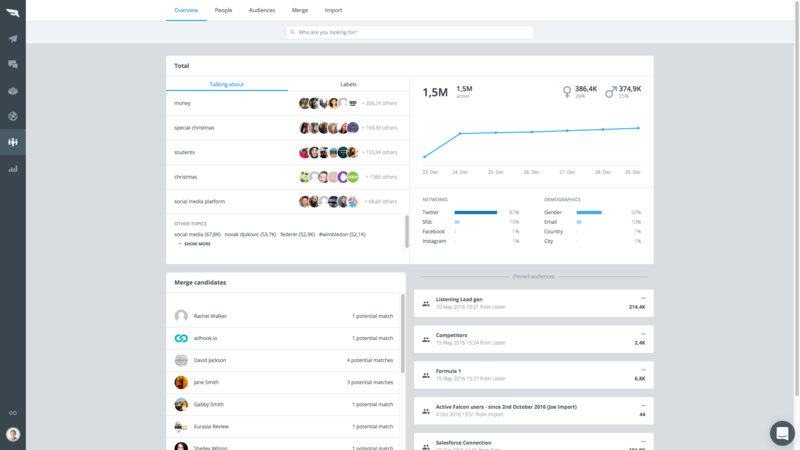 It features tools for social listening, engagement, publishing, analytics and managing customer data. 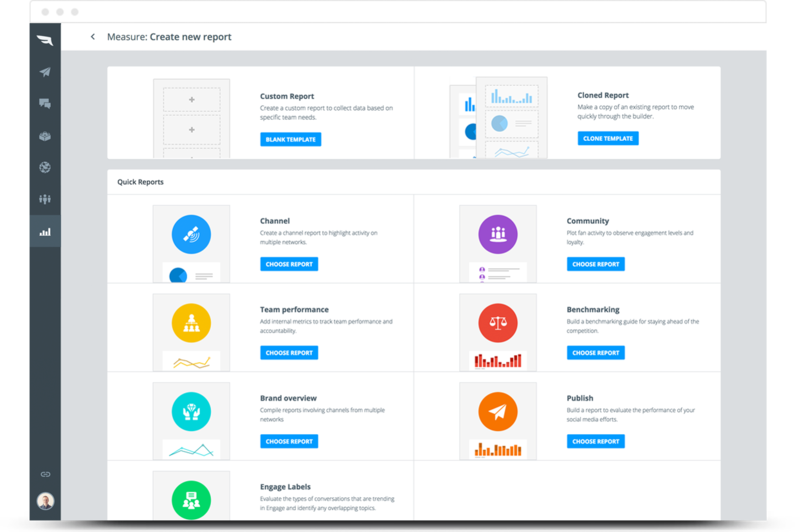 This platform enables marketers to deliver more personalized brand experiences based on enriched customer profiles. The technology is complemented by comprehensive support and consultancy services. Falcon.io offers two service packages to suit company size and social needs: Pro and Premium. These offer varying services and support levels.